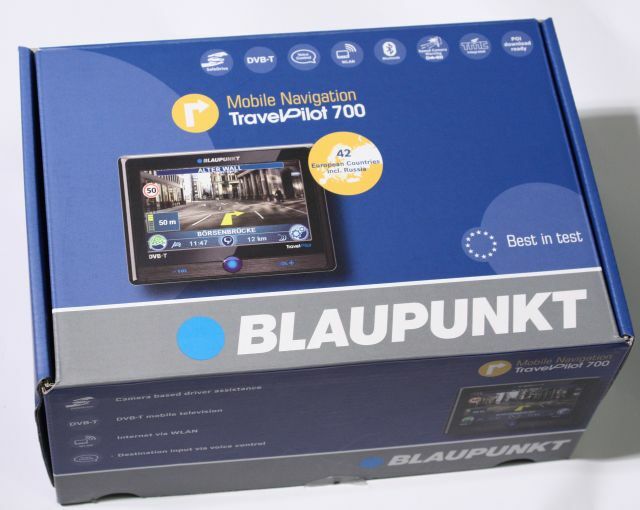 Blaupunkt surprised the world last summer by showing off the first GPS navigation systems with camera based navigation, the TravelPilot 500 and TravelPilot 700 are unique because they are currently the only GPS nav units on the market that can overlay navigational info on real-time images captured by an integrated 2 megapixel digicam. Besides video navigation, the new high-end TravelPilot series from Blaupunkt offers virtually any feature you'd might desire from a GSP navigation kit. They sport route guidance for 41 countries throughout Europe (+ Russia for the TravelPilot 700), a large 4.3" touchscreen, advanced multimedia capabilities (MP3, video & games), 8GB internal storage, speech recognition, sign recognition, WiFi, integrated browser, mail client, Bluetooth, VoIP, TMC, a phrase translation book that supports 18 languages, POI info, and much more. 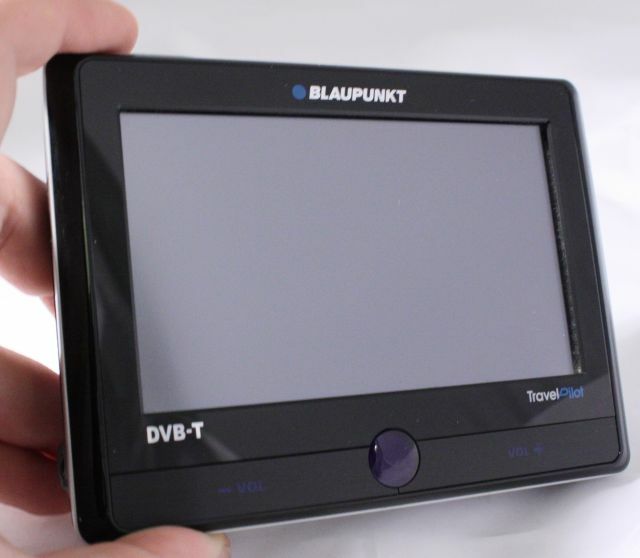 In this review I'm taking a closer look at the Blaupunkt TravelPilot 700, this GPS system has some additional features like DVB-T digital TV, mobile Office applications and detailed road maps of Russia. It retails for around 599EUR, while its little brother can be found for 100EUR less. 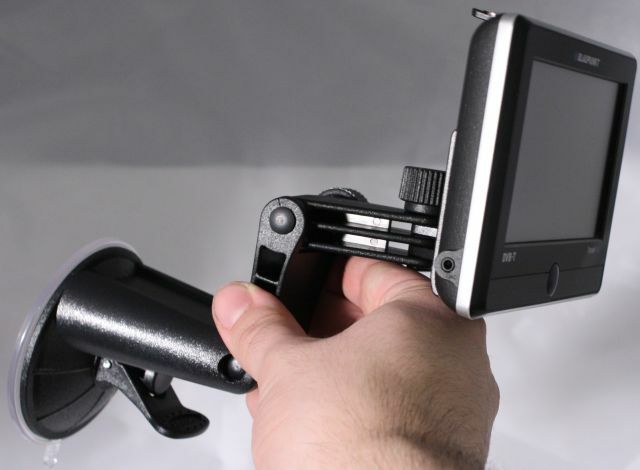 Here's a first look at the TravelPilot 700, the device has a large 4.3" touchscreen with a resolution of 480 x 272 pixels. The front also has two volume buttons, and Blaupunkt's blue dot in the middle. Inside the TravelPilot 700 is a dual-core ARM9 µP 500MHz processor, a 266MHz DSP coprocessor, 128MB SDRAM, 8GB of integrated flash memory, and the Microsoft Windows CE 5.0 operating system. 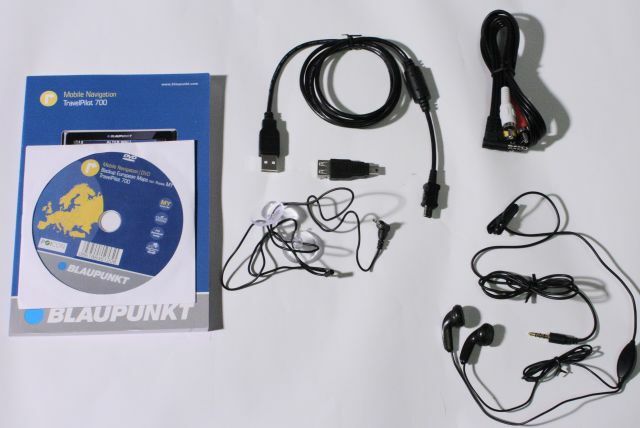 The full specifications of the unit can be found on Blaupunkt's website, the list is a bit too long to paste it into this test report. The TravelPilot 700 ships with many accessories, on the picture below you can see the manuals, support CD, USB cable, mini-USB to USB connector, video cable, TMC cable and headphones with integrated microphone for handsfree calling. 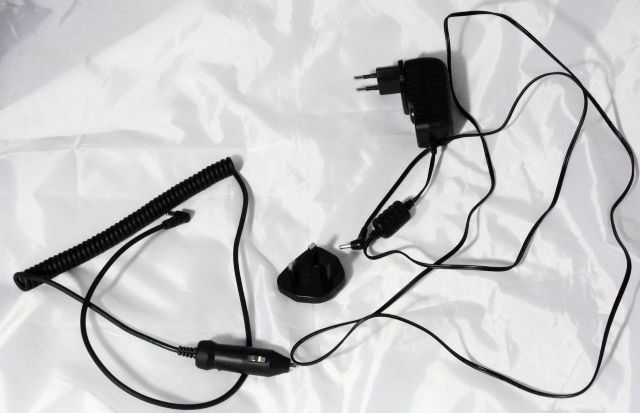 There are multiple ways to charge the TravelPilot unit, you can use the included car charger, A/C charger (which also includes a conversion plug), or via USB. 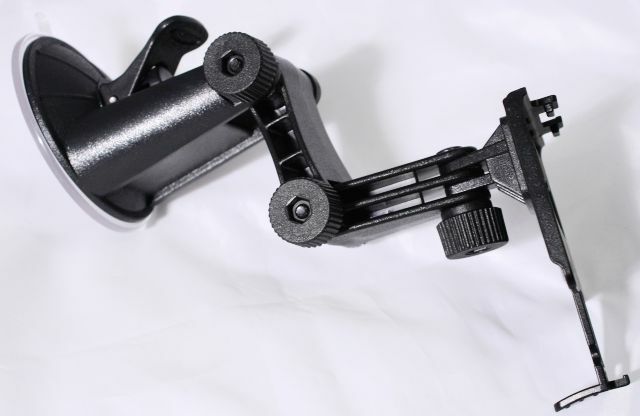 Last but not least, a closeup of the car mounting kit. Yes, at first I thought this travelpilot 700 was perfect but -- I had 2 units which failed for different reasons after about three weeks of intermitent use. 1. the Bluetooth failed on one. 2. the DVB TV. failed on the other. The built in aerial was useless anyway. Actually the units were in transit for replacement longer than I actually had use of either. The video was not what Blaupunk's advert depicted, speed sign recognition would not work in video mode and speed sign recognitition did not work very well in map mode either. Over speed alerts were calculated in kilometers even if the unit was set to miles (if you were in a 50 mph zone the unit would beep at 30 mph, 30mph = 50 kmh). The unit would freeze frequently and require battery disconnection to reset. I did not have very long to do full evaluation but believe that video recording of a journey or memories could only be saved on the unit's internal memory not to the SD memory, which defeats the object of a high capacity external memory feature. I found both units ran very hot and wonder if the MPU was overloaded and the heat caused component failure. For what ever reasons the Travelpilot 500/700 were not launched in Britain but reliability would be the same wherever. I'm sorry I no longer have a Travelpilot 700 because when it worked I liked it. Looks good, too bad there's no US version.